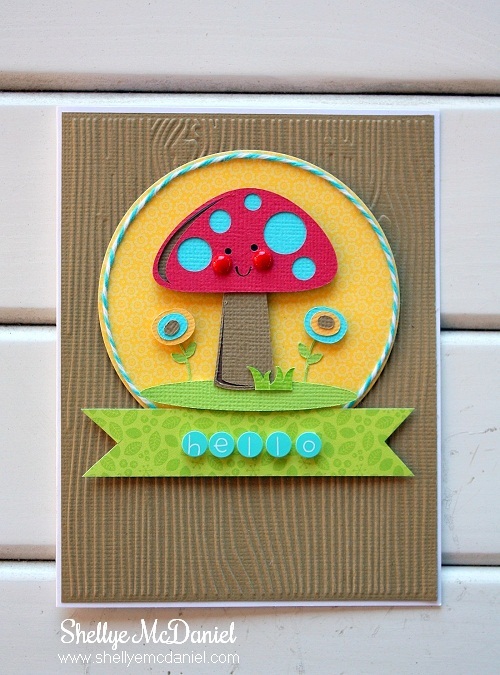 I loved the variety of Cuttables so much, that I have two projects to share today! a woodgrain folder before attaching it to the cardfront. 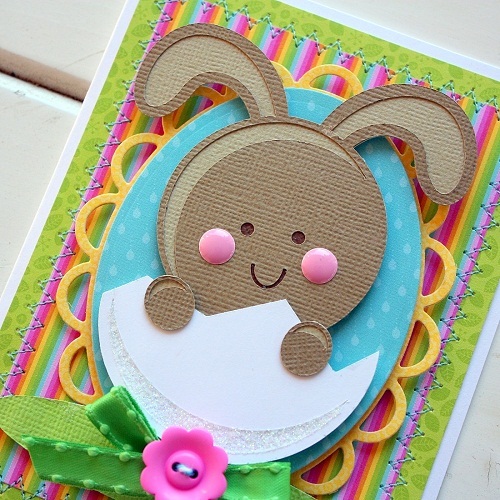 used different cardstocks by American Crafts. I used the Xyron 3" Sticker Maker to assemble all of the pieces together. alpha stickers are also by Doodlebug. 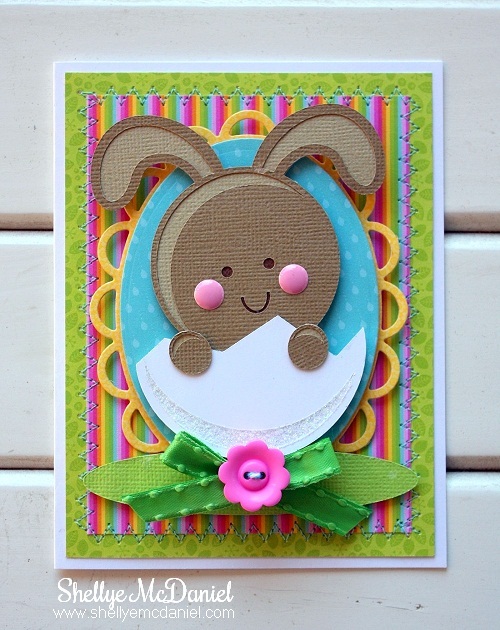 I'm so ready for Spring and Easter that I couldn't resist a bunny! When working with the bunny's head, I ran the top layer through the Xyron Sticker Maker. As the instructions state: Rub and Peel! around the sides before adhering to the cardfront. It gets into the grooves between the stitching and holds everything perfectly in place! projects...sign up for their FREE daily cutting file while you're there too! These are adorable!! I am a huge Miss Kate fan, she has the cutest images! Great cards! glitter on the egg cut outs. Both of your cards are just adorable! Love the glitter tip on the egg! Two very fun cards! Love the colors of each of them! Fun!! GIRL you just rocked it! Both of your cards turned out great! They are just adorable! Oh my goodness! 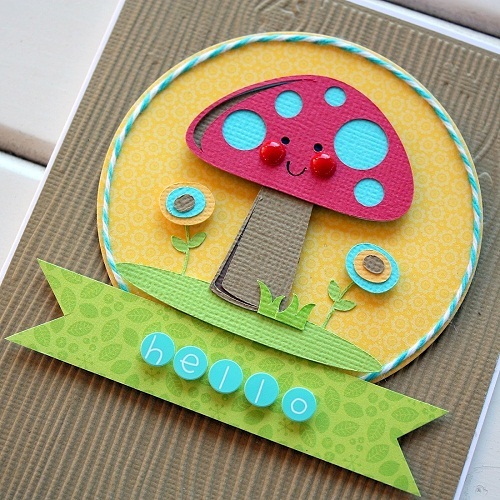 These projects are adorable!